On Wednesday, the Seattle City Council’s Gender Equity, Safe Communities, New Americans, and Education Committee approved the proposed gun control ordinance, setting it up for a vote by the full council. 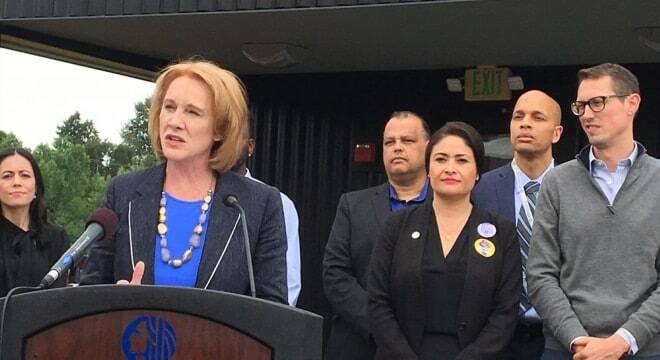 Introduced by Mayor Jenny Durkan in May, she argued that most gun owners in the city do not store their firearms safely. Durkan’s ordinance, proposed with input from City Attorney Pete Holmes, Councilmember M. Lorena González and “safety advocates” from the Brady Campaign and Moms Demand Action, would establish a range of civil fines between $500 and $10,000 for those who leave unsecured firearms in areas where minors or those considered “at risk” may find them. Additionally, it would require those who find that they have lost a gun or had one stolen to notify police within 24 hours. Failure to make a report would result in fines of up to $1,000. According to Durkan’s office, the Seattle police logged reports of 250 stolen guns last year, and in a recent survey some 150,000 gun owners in surrounding King County reported they did not lock up their guns. The nine-member Seattle City Council, set to take up the proposal in coming weeks, is made up of eight Democrats and Kshama Sawant, a declared member of the Socialist Alternative party.